How do I log into my control panel? How do I add a property listing? How do I give each agent in our office the ability to add listings to Skilpad.com? 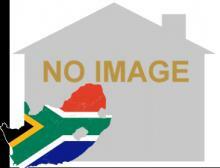 What features make Skilpad.com the ideal first-choice for finding any kind of property in South Africa? Which internet browsers do we support? Why don`t all the properties have full details and photos? How do I give each agent in our office the ability to add listings to Skilpad.com? How do I log in to my Control Panel? Can I sell my home privately through Skilpad.com? I asked for details on a property but haven`t heard anything yet. What should I do? I have now found my dream home. How do I cancel my email alerts? How do I advertise that a property is "On Show"? What should I do if I want more information about one of the properties I`ve seen on Skilpad.com or to arrange a viewing? Last modified: March 10 2011.